After returning from Bali to Darwin Susan has had swim training daily at the Parap Swim Pool in preparation for the 2015 Darwin Fannie Bay Swim Classic sponsored by the Darwin Surf Life Saving Club. 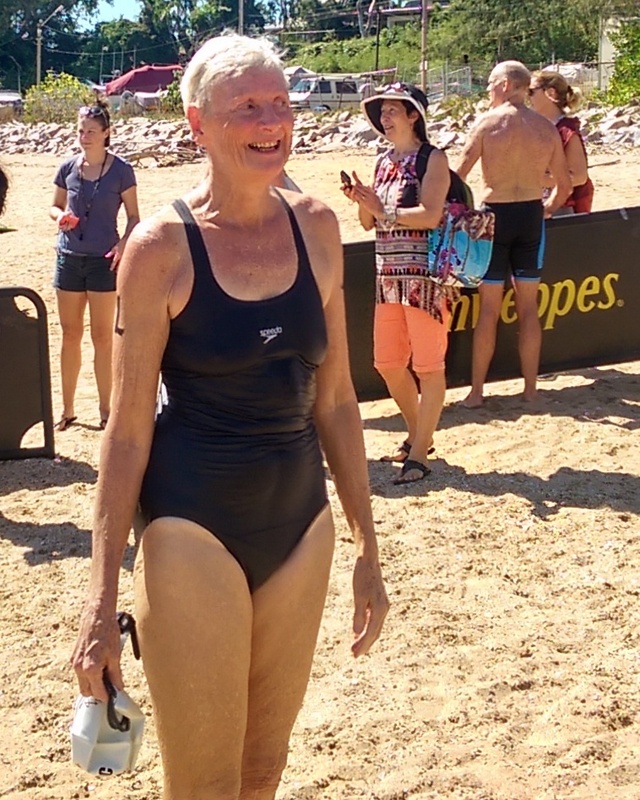 Today was the big day and at precisely 13:00 local time she hit the water swimming in the 1.2 kilometer division. 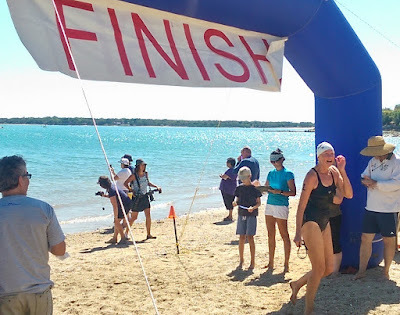 Susan has never competed in an open water swim meet and she was not sure how the open sea would feel. 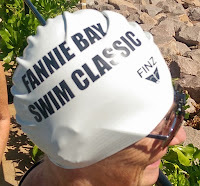 Well, it was a picture perfect winter day in Darwin with blue skies and air temperature of about 29C (about 85F) and the water was closer to 25C, warmer than the Parap Pool where she had been training. All in, the competition had well over 100 participants of ages over 15. She finished ahead of her goal at 13:40 coming across the finish line at the Darwin Trailer Boat Club. Did you say Gin and Tonic?